‘I wonder what Grandpa, George Hill, would have said were he here today? Could he have possibly understood the wizardry of the Internet? I am told that he was very much an innovator, as was my father, Eddie Hill. Well, here we are over 100 years later and still up with the best of them! Wine has been a large part of my life for over 40 years and whilst I continue to learn, so I strive to make it accessible to all who want to know and be beguiled by it. This I hope you will recognise as you get to know us better. This website is but a tiny corner of us, something we hope will make you fall into our trap and be captured forever by the wonderful world of wine. George Hill was a Lincolnshire farmer’s son, who, in 1901 arrived in Leicestershire to work for the ‘County Stores’, a high quality grocery and provisions merchant. He was, for some time, the manager of their shop, in the village of Quorn (or Quorndon). It was here that his daughter (Doris) and son (Eddie) were born. In 1909, he started his own business in the nearby village of Sileby. Quickly growing in reputation, he bought out ‘County Stores’ in 1915. At this time, ‘County Stores’ also had large premises in the provincial market town of Loughborough. Here, George flourished and in due time was assisted by his son Eddie. The business became the largest wholesale grocery company in Leicestershire and, in fact, Loughborough’s emergency rations were stored in the company cellars during the Second World War. George became a pillar of the Town, being elected Mayor on two occasions. Renowned for his business acumen, he was, for two years in succession, the President of the Grocery Federation. During this time, Eddie became nationally known as an expert for Window Display – winning many competitions, including both the prestigious Daily Mail and the Daily Express Cups. As a result, the shop attracted many national visitors who wished to view the excellent displays. George Hill died on Boxing Day in 1946. His son Eddie, continued to manage the business, which included the original shop plus another in the nearby village of Barrow-upon-Soar. Eddie and his wife Joan, had a family, two sons and a daughter, and by the early 1950’s the company boasted the very first ‘self-service’ grocery store in the Midlands. 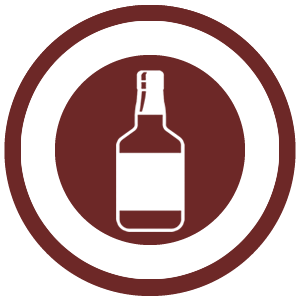 It was during this time that the business gained the coveted Wine, Spirit and Beer Licence, not easily won in those days, so beginning a change in the style of trading. However, by 1960, competition became too strong and the very large town centre site was sold for development. The shop relocated to its present site, 300 metres from the Market Square. Shortly before this, the company name was changed from ‘County Stores Ltd’ to ‘George Hill (Grocers) Ltd’, thus retaining George’s name, which it had traded under for many years. 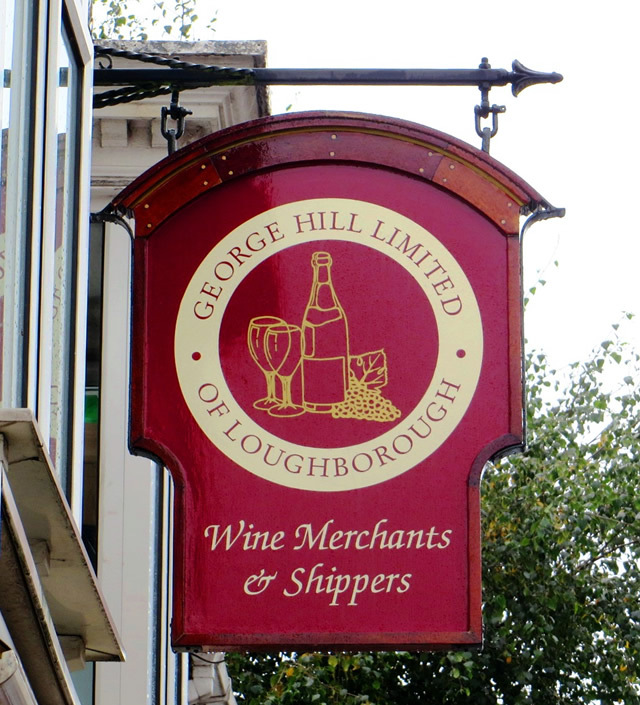 This company name is still proudly retained, although it now trades as ‘George Hill Limited of Loughborough’ – to save confusion as the business is now primarily that of Wine Merchant. Eddie was all set to enjoy the country house he had bought, and to watch his family grow up, but this was not to be. In 1961, he died from cancer, aged just 52, leaving Joan to carry on the tradition. She was assisted by her daughter Caroline, who had recently left college. Coincidently, Ronald, the eldest son, became an accountant, and in 1964, Andrew, the youngest son, and the present Managing Director – left school to start his career in The Wine Trade. For a while Andrew worked with a provincial Wine Merchant in Derby, then spent time in London learning the ‘top end of the Trade’. Here he did everything from bottling and working on the delivery lorries, to answering the telephone and delivering single bottles to Embassies. However, more tough times were ahead, and with the abolition of fixed prices in 1967 everyone had to take a cut in salary! Andrew’s travel plans were curtailed, and it was not until the middle 1970’s that he began to explore the wine regions of the world. In 1975, Andrew won a National Scholarship from the Wine & Spirit Education Trust. This gave him the confidence to develop and invoke his unique style, and he quickly gained a passion and love for his subject. Soon, he was eagerly helping others to learn and enjoy the produce of the vine. After returning to Loughborough and the family business, Andrew quickly developed a reputation of honest trading, passionate opinions (sometimes too strong) and an enthusiasm – that has swept his customers along to this day. For most of the time he happily worked alongside his sister Caroline, who was the ‘office rock’ and his mother Joan, who, whilst technically the ‘boss’, remained passively in the background, giving occasional support and advice. Joan passed away in 1983 with cancer, and the disease cruelly struck yet again in 1991 when Caroline died tragically at the age of 49. She left a husband, David, and three daughters: Gillian, Judith and Susan. Gillian, the eldest, had by then joined the firm, thus ensuring that the fourth generation of the family had joined the team. Today, Andrew still leads his small team of enthusiastic and knowledgeable employees. Gillian, the Company Secretary is often accompanied during the school holidays by the younger two of her three children Jacob, Eleanor and Alex who at eighteen, fifteen and twelve respectively, make sure they are known to all!!! They were also joined in 1989 by Lee Costelow, as Shop Manager and in April 2003 by Caroline’s youngest daughter Susan as the Office Administrator. Her three children, Isobel (thirteen), Emily (nine) and Freddie (seven) regularly join their cousins in the office during the holidays! At the beginning of 2008 Judith’s husband, Richard Coles, also joined the team as the driving force behind our Trade Sales, to give Andrew more time to explore other areas of the business. With their two children, Nicola (fifteen) and Charlotte (twelve) making the total up to eight – might we have the fifth generation here? In the summer of 2014 Brigg Ferrier arrived part time after completing his Wine & Spirit Education Advanced Certificate and wanting a change of career, which turned into full time during the Summer of 2015. Andrew continues to refuse to lower the quality of wine he buys, although, in the hard pressed and competitive trade of the new millennium, he is aware that the general public and the Restaurant/Hotel Trade are price conscious. He will not buy a wine just because it is fashionable, it must have its place in the portfolio and the market place. The company is sometimes regarded as quirky, occasionally eccentric, and often ‘unique’. One thing is sure, they are all individuals , giving as good as they get, but readily willing to help and make sure the correct choice is made. ‘If we can sell wine that is well made, at a fair price, being a good example of what it purports to be and is right for the job, we have done ours. My biggest pleasure is when a customer returns for more’. For a provincial Wine Merchant to survive in 2016 is to succeed. Long may they continue!